Description: This print is dated 1951 (the known first printing date) and so is a first edition. It's generally considered that Unsodo published prints by Takeji Asano with date stamps in the margin are first editions. It appears however that later editions may also contain a date stamp as can be seen in this 1953 dated second (?) 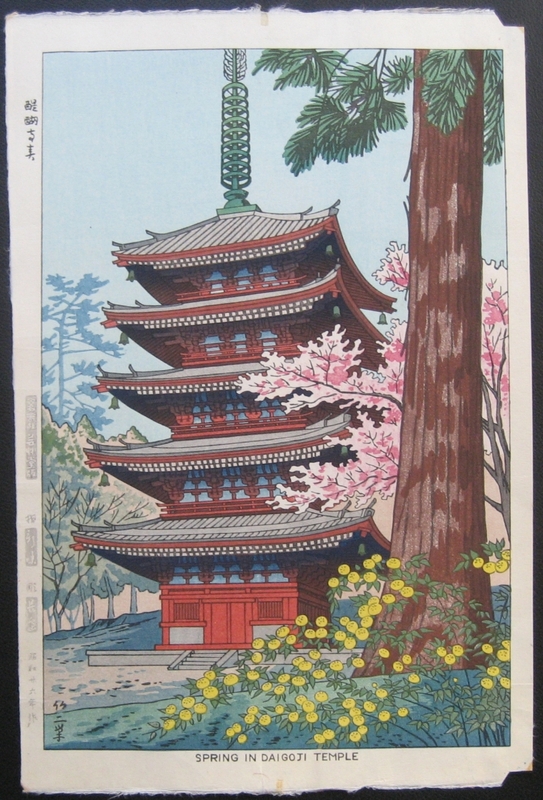 edition copy of the print Spring in Daigoji Temple.